This is a brief chronology and history of series that presented theatrical adaptations on BBC television from 1957 to 1985, presenting examples of the institutional discourses that surrounded the making and transmission of these programmes. These arguments recur throughout the time that the BBC produced such series, and form a framework of institutional expectations within which the classic play was commissioned, made and presented. The launch of the series Television World Theatre in December 1957 represented a considerable shift in the way that television adaptations of the stage play were both made and promoted. Television World Theatre was the first time that the BBC had produced adaptations of stage plays as parts of a series under an umbrella title with a regular timeslot in the schedule. Television World Theatre ran for two individual seasons of a limited duration, which were promoted to audiences from the outset as offering a series of special individual events, presenting the best plays from the canon of world drama. Michael Barry, the Head of Television Drama, writing in the Radio Times, acclaimed the series as a project of major cultural significance: “All of the plays are of proved success and importance. They will allow us to consider drama as an international art” (1957, p.3). Viewers could prepare in advance to watch the plays, through sending off for a special brochure providing information about the productions and the details of each play, plus an illustration, were set out in the Radio Times listings within a box, and designed like a theatrical programme. Television World Theatre offered viewers a repertory of a remarkable catholicity, even when compared with much later series presented to a less general BBC2 audience. Only a minority of the plays would have been especially familiar to a reasonably well-informed theatregoer of the late 1950s (Shakespeare, Chekhov, Galsworthy, Sheridan and Shaw), while some of the productions presented are by very obscure writers such as H.C. Branner and Alfred Henschke. For a series of classic plays, Television World Theatre presented a high percentage of comparatively recent works (Zuckmayer, Fry, Giraudoux, O’Neill, Lorca and Pirandello) and almost entirely unperformed classics such as Buchner’s Danton’s Death and Ibsen’s Brand. The series also attempted the first British television staging of a Greek tragedy (Michael Elliott’s production of Women of Troy) and Chinese Noh drama (The Circle of Chalk). Some of the productions were conceived around the opportunities provided by pre-recording (notably Rudolph Cartier’s extensive use of spectacular filmed footage of armies on the march in Mother Courage and her Children), and allowances were made for individual and idiosyncratic directorial interpretation (most controversially, Michael Elliott’s interpolation of newsreel footage of second world war refugees and atomic bombs into Women of Troy, BBC WAC T5/2,438/1). Such a programme, that allowed for the bewilderment and annoyance of some viewers, and expected some plays to fail, was expecting a great deal of its audience; a flexibility of imaginative response to move from watching Shakespeare to Gogol to Euripides from week to week, and a curiosity about international culture and different historical periods sufficient to attempt to watch unfamiliar forms of drama. The BBC’s Audience Research Reports for the series indicate that such a series encouraged selective viewing, with small audiences tuning in for unfamiliar plays such as Brand and Danton’s Death (both of which were seen by 8% of the population) (BBC WAC R/7/40-1) while comedies like The Government Inspector (featuring comedian Tony Hancock as Hlestakov) and The Captain of Kopenick could attract 25% and 21% respectively (BBC WAC R/7/32), despite their potentially off-putting European origin. A consistent pattern of hostility emerges amongst the responses of the smaller audiences that saw the more tragic and obscure plays. This hostility continually manifests itself in complaints about the plays’ tendency towards morbidity and depression (for example, BBC WAC VR/58/17 The Cherry Orchard, BBC WAC VR/58/ 32 Women of Troy, BBC WAC VR/59/ 273 Danton’s Death, BBC WAC VR/59/310, Blood Wedding). The foreign origin of such bleak plays was seen by these viewers as contributing to their unsuitability for adaptation, being temperamentally inappropriate for British viewers: “a Slavonic moroseness foreign to our temperament… might be appreciated by Russians, but not by ourselves” (BBC WAC VR/58/32 The Cherry Orchard), “the ideas and feelings were quite foreign to our way of life” (BBC WAC VR/59/310 Blood Wedding). Another aspect of this antipathy is a sense that the audience’s wish to be entertained was being overridden by the tastes of a highbrow minority of programme-makers: “a nerve-wracking trial inflicted upon them [viewers] by the BBC”, “a play that only the ‘highbrow’ minority could digest” (BBC WAC VR/58/32 Women of Troy), “A typical specimen of BBC morbidity. Very Third Programme” (BBC WAC VR/59/310 Blood Wedding). Audiences felt especially affronted by scenes of violence and suffering being shown in their living rooms (BBC WAC VR/59/273 Danton’s Death), with the report for Women of Troy describing responses of discomfort, distaste and deep disgust. I don’t like haphazard mixing of modern language, poetry reading and symbolic scenery, but despite all these objections, I was thoroughly glad I didn’t miss the programme’ (Life Assurance Underwriter) (VR/59/310 Blood Wedding). Publicity material for the Tony Hancock Government Inspector shows a very different approach to the promotion of theatrical adaptations than that shown in Barry’s Radio Times article. The BBC Press release for the production promises that Hancock would appear “in the same sort of situations” as in his comedy show, the star performer quoted as asserting “that Nikolai Gogol, one of the great Russian dramatists of the nineteenth century who died in 1852, might well have written scripts for Hancock’s Half Hour along with Ray Galton and Alan Simpson” (Undated press release, BBC WAC T5/2,096/1). In this press release, the emphasis is not placed upon the classical theatrical status of the play, but on the play’s affinities to contemporary television drama. By emphasising the similarities of comic situation between Gogol’s play and Hancock’s Half Hour, the promotional material works to attract the attention of viewers of the performer’s sitcom through promising the expectation that similar pleasures can be found in both the Russian stage play and the English television programme. This strategy for attracting viewers was clearly effective: The Government Inspector attracted ratings of 9.5 million (Caughie, 2000a, p.34) against two of ITV’s most popular programmes; Sunday Night at the London Palladium and Armchair Theatre (BBC WAC VR/58/80). The press release also cites Barry’s approval of the casting: “The play is high comedy and Tony Hancock is a thumping good actor” (BBC WAC T5/2,096/1). Audience reaction to the play was mediated through an understanding of the generic hybridity of the production. Viewers are reported as responding as much to the casting of Hancock in an unfamiliar role as they were to the play itself. The audience’s response to Gogol in the report was cooler than their enthusiasm about Hancock, with half of the audience complaining of the play’s slow pace and far-fetched premise, although the other half of the viewers are said to have accepted the form and premise of the play and found value and resonance in Gogol’s story (BBC WAC VR/58/80). McGivern’s memo indicates a possible route that the adaptation might take in future (through the casting of popular television performers) that could receive particular support from senior BBC management. Although this use of the words ‘total lack of success’ is clearly in part a rhetorical exaggeration for the purpose of Luke to present the anthology series that he produced in a better light, no series like Television World Theatre was attempted subsequently. The combination of a regular and prominent place in the schedules, extensive publicity making substantial claims for the featured plays, and a highly catholic and international repertory was never attempted again with the same boldness. How populist should theatrical adaptations be? How unfamiliar should the chosen plays be to their audience? Is it worth producing a play that is likely to alienate the majority of the audience? Should an anthology series have an overarching rationale? Should a play be reinterpreted for television, or should it be a faithful recreation of the theatrical experience? These questions reoccur in discussion of all subsequent adaptation series. The two short-lived series that followed in the wake of Television World Theatre show polarised reactions to the potential lessons learned from that programme. Twentieth Century Theatre (BBC Television, 1960), transmitted every Sunday night for six months, presented a mixed repertory, mostly formed of popular West End successes of the previous forty years unsuitable for Television World Theatre canonisation such as Dear Octopus by Dodie Smith, Young Woodley by John Van Druten, or Aren’t We All? by Frederick Lonsdale. Amongst this selection were very occasional productions in the World Television Theatre tradition, such as Bulgakov’s The White Guard and The Insect Play by Josef and Karel Capek. Festival (BBC Television, 1963-4), the provenance of one single producer (Peter Luke), took a different approach, presenting a challenging repertory of plays by Aristophanes, Ionesco, Beckett, Pirandello and Sartre to a 9.15pm Friday night BBC audience. Audience reaction for Festival indicates that it was a programme that could achieve high ratings, but one that could inspire little in the way of committed viewing from a dedicated audience week by week, with both the percentage of the United Kingdom public tuning in (between 19% and 4%) and Audience Reaction Indices (ranging from 78% for The Life of Galileo to 23% for Ionesco’s The Bald Prima Donna, 20 November 1963, a record low) fluctuating dramatically. This indicates that audiences were either unaware of Festival as a project, or found the idea of a series “for people in the know” off-putting, selecting only plays that they might expect to enjoy. The production of drama at the BBC during Newman’s tenure is therefore marked by a greater awareness of potential audience popularity (and unpopularity) than previously. Sydney Newman did appear to give some support to the work of producers like Peter Luke in a memo that states the need for the Drama Group to “provide a wide variety of drama programmes ranging from the excellence and the challenging of Friday night’s Festival through to the broadest mass appeal programme like Compact.” A “lopsided” approach, that leant too much towards the provision of high-ratings “easy to take-type dramatic material”, would “risk losing the very influential but minority audience who have a fine taste in drama and who shun the trivial”. Even with a pressing shortage of studio space, Newman did not consider that the BBC could afford to overlook this minority (memo from Newman, 24 July 1963, BBC WAC T5/2,079/1). The great sea change in the broadcasting of stage adaptations at the BBC during the Newman period occurs with the launch of BBC2 in 1964. For the next three years, adaptations disappear from the BBC1 schedule, appearing on BBC2 (a channel with an initially small potential audience, as a new set needed to be bought to be a able to view it) in two series, the short-lived Thursday Theatre (1964-5) presenting “Plays by well-known authors which have enjoyed West End success” (BBC Annual Report 1964-65, p.25), while Theatre 625 (1964-8) was, despite its title, not devoted to stage adaptations, but was the channel’s anthology series for single dramas, the 25 theatrical adaptations that it did produce over its run continuing in the Festival mode, with versions of Camus, Goethe, Strindberg and similarly demanding works. With the swift demise of Thursday Theatre, this means that for the duration of Newman’s tenure the BBC continued to produce versions of the more experimental parts of the theatrical repertory, but provided no outlet for more mainstream or middlebrow productions, and that the chance to see adaptations was denied to the majority of the audience who were unable to watch BBC2. Single plays on BBC1 were represented by two anthology series, The Wednesday Play (1964-70), dedicated to screening plays about contemporary life, was seen by Newman as fulfilling a particular personal ambition for BBC Drama, continuing his work at ITV in instigating Armchair Theatre, and Play of the Month (1965-83) which, under a loose remit, presented material unsuitable for The Wednesday Play, promoted by the BBC as a “new series of large scale popular productions, big in cast, big in production values and big in theme” (Press Release, 15 September 1965, BBC WAC T16/149/4). The producer of the new series was to be Cedric Messina, the single dominant figure in the history of the classical theatrical adaptation at BBC Television during the duopoly period. As producer of Thursday Theatre (1964-5), Theatre 625 (working as co-producer) (1964-8), Play of the Month (1967-77) and Stage 2 (1971-3), and as instigator and producer of the first two seasons of the BBC Television Shakespeare (1978-80), in addition to producing many adaptations that were not transmitted as part of anthology series and working regularly as a director, Messina was responsible for the majority of adaptations produced by the BBC between the mid-1960s and mid-1980s. As a result of the length of his career and the hundreds of plays that he was responsible for, Messina’s approach to theatrical adaptation has perhaps become the one that people instinctively recollect as the general standard of how plays were made during this period, and it is therefore worth outlining what was specific and individual about Cedric Messina’s understanding of his position. Messina saw his role at the BBC as being one of a public servant, responsible for the spending of a large budget of license fee money (over £2,500,000 per annum by 1970) for his productions (ibid, p.52). This outlay of resources, combined with the employment of star actors, placed Messina in a position that bore some affinities with the impresarios of the commercial theatre; choosing a repertory of plays, finding suitable directors and having a hand in casting, while trying to attract a wide public to his productions. Messina did not see his approach to casting as creating star vehicles, but in “casting as high as possible as long as the actor is right for the part” in the pursuit of creating “thumping good established plays with super casts” (ibid, p.53). An advantage that the BBC television production schedule held over theatrical production was that in-demand actors needed only to be employed for the comparatively short period required for rehearsal and recording, so that with dates planned long in advance, performers such as John Gielgud or Maggie Smith could appear in Play of the Month productions. This extensive preparation allowed for very specific casting in plays that Messina considered could only be carried by distinguished performers, an example being the appearance of American film star Anthony Perkins in The Male Animal (BBC1, 13 October 1968), an unfamiliar Broadway comedy by James Thurber (ibid). clutter ourselves up with fears and doubts (…) Cedric never wonders whether or not it would be a good idea to put on a certain play. He just says “I want to do this play” and that’s that (Coleman, cited in Nicholson, 1970, p.53). In the same interview, Coleman also comments on the sense of support that Messina’s regular directors received from him, of being “backed right up to the hilt. There’s no trouble he won’t go to (…) He knows immediately if things are going a bit tricky and a lunch or a drink might help smooth things over” (ibid, p.52). Although this approach to production, and the tendency for the same directors and performers to frequently return to do Play of the Month productions, might be seen as autocratic, Messina insisted that he did not wish to impose an overall style on the productions, and also, on occasion, would employ directors to create idiosyncratic interpretations, such as Alan Clarke (The Love Girl and the Innocent, 16 September 1973) and Jonathan Miller (King Lear, 23 March 1975). Messina himself singled out Alan Bridges for particular praise, despite considering his production of The Wild Duck “a most eccentric production” with “the oddest interpretation” (cited in Drabble, 1975, p.17). 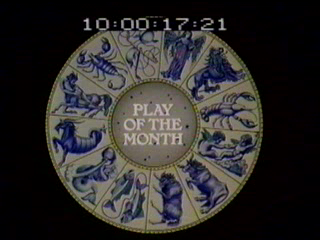 The thirteenth series (1977-8) of Play of the Month represented a watershed in the history of the theatrical adaptation on BBC Television, and was a conscious attempt to shake up the form on the part of BBC drama management (Sutton 1982, Cellan Jones 2006). This was the first series since 1967 not to have been produced by Cedric Messina, and with the arrival of a new producer (David Jones) recruited from the theatre (he had been Artistic Director of the Royal Shakespeare Company at the Aldwych Theatre) rather than from television, the repertory of plays chosen for Play of the Month became much more eclectic, and the directorial styles in which they were made became more unconventional and unlike other forms of television drama. The range of plays presented including two recent plays (Flint by David Mercer and The Sea by Edward Bond) that contained material likely to alienate a general audience, a rarely-seen nineteenth century German modernist play (Danton’s Death) and a British Edwardian play (Waste) of particular density and complexity. David Jones also employed a different set of directors than had regularly contributed to Play of the Month previously (such as Alan Clarke, Jane Howell and Don Taylor), each with original and highly distinctive approaches to their material. After the inspiration of Songs of Praise and the innocent amusement provided by All Creatures Great and Small my Sunday evening was entirely spoiled by David Mercer’s Play of the Month – Flint (15 January, BBC1). At the end of this filthy blasphemous black farce, I felt sullied and profoundly sad that the BBC could allow insults against God to be uttered. Henry B Savill, Eastbourne. Sussex. Messina had left Play of the Month to produce an ambitious new series on BBC2, The BBC Television Shakespeare, to create definitive television versions of all 37 Shakespeare plays. Part of the BBC’s thinking in commissioning this project was financial; the Corporation was the only broadcasting company in the world with both the resources and the theatrical culture to be able to produce such a series, and Shakespeare’s heritage and educational status, combined with new home video technology, meant that such a series could be a sound commercial proposition, with a potential international afterlife decades beyond the original transmission of programmes. These possibilities meant that the series could be financed as an American co-production, co-funded by Morgan bank, Exxon, Time/Life and WNET (Willis, 1991). Discourse surrounding this series shows the opposite set of expectations on the part of management and producer to that of Play of the Month under David Jones, articulated by Messina as a wish to create a definitive set of ‘straightforward’ Shakespeare productions (Willis, 1991, Wiggins, 2005). This aesthetic approach can be seen as a continuation of Messina’s Play of the Month ethos, seen through his appointment of his regular repertory of directors to oversee the individual plays. The enforced departure of Messina as producer after the second series of The BBC Television Shakespeare, and his replacement by Jonathan Miller, a theatre and opera director and documentary-maker, changed the ethos of the series, opening up the possibility of more experimental and conceptual adaptations. Much of the lacklustre quality perceived in Messina’s productions had been due to a sense that the plays were being made within a naturalistic and generic house style, reaching its nadir with the completed but untransmitted production of Much Ado About Nothing (Willis, 1991, pp.15-6, Lawson, 2008). This period of stage adaptation in the late 1970s and 1980s is when institutional questions as to the purpose of the genre and its potential popularity become most polarised, well-illustrated through the opposing visions of Messina and Miller. To date, no productions of Strindberg, Sartre or Shakespeare have been transmitted on BBC1 since 1985, making this date a suitable cut-off point for a study of the classic play within the mainstream of BBC television. Although Sunday Night Theatre (BBC 1950-9) might appear to also answer to these criteria, it was a programme that was not exclusively devoted to showing theatrical plays, offering a repertory from a variety of sources; thrillers, farces, light comedies and straight plays, that could be either original television plays or taken from the stage, with occasional productions of theatre classics. Sunday Night Theatre was also not a series as such, with individual seasons in which the repertory could be planned in advance and balanced, but a continuous outlet for plays which ran for all twelve months of the year. In contrast, the umbrella title World Television Theatre emphasised the repertory nature of the series, presenting audiences with work that they could expect to have a theatrical (and international) origin. In an interesting example of how advance publicity for an adaptation could prove counterproductive, an article in the Sunday Express (12 January 1958), in which Michael Elliott explained his contemporary interpretation of Women of Troy and the reasons for his reviving the play, made some viewers antagonistic towards the production in advance of seeing it. Many of the “unusually large number” of over thirty people who called the BBC Duty Office to complain about the broadcast mentioned the article (memo form Etain Boffey, Liaison Duty Clerk to H.D.Tel and Michael Elliott, 14 January 1958. BBC WAC T5/2,438/1). It is noticeable that plays of British and Irish origin do not inspire the same degree of antagonism on the part of audiences, even when they are considered disappointing (Shaw’s Heartbreak House or Christopher Fry’s The Dark is Light Enough). When classical British and Irish plays were presented, the response was generally enthusiastic; Henry V, Julius Caesar, Volpone and School for Scandal receiving Audience Reaction Indices of 62, 76, 69 and 69%. Hancock’s Half Hour (BBC Television, 1956-60), retitled Hancock (BBC Television, 1961). Derived from the radio series Hancock’s Half Hour (BBC Radio Home Service, 1954-9). Caughie neglects to mention the presence of Tony Hancock in his citation of the high ratings for The Government Inspector, perhaps giving a misleading impression of the innate attraction of nineteenth century Russian comedy to a 1958 television audience. Sunday Night at the London Palladium (ATV for ITV, 1955-65, 1973-74), Armchair Theatre (ABC/Thames for ITV, 1956-74). ‘Cost to BBC of Competitive Television’, The Times, 13 March 1958, which headlines the particular section of the article under the unequivocal subheading ‘World Theatre Success’. This intention to create challenging, agitational, forms of drama relates to the recommendations of the 1962 Pilkington Committee on Broadcasting. Compact (BBC Television/ BBC1, 1962-5), an early soap opera set in the world of fashion publishing. The BBC had attempted Shakespeare series in the past: An Age of Kings (BBC Television, 1960) had presented the eight play history cycle as an ongoing 15 part serial to great acclaim, inspiring the less successful nine part serialisation of Coriolanus, Julius Caesar and Anthony and Cleopatra under the title of The Spread of the Eagle (BBC Television, 1963) (Willis, 1991). A further production, The Wars of The Roses (BBC1, 1965) adapted Peter Hall’s RSC productions of the Henry VI/ Richard III quartet into a three part serial. Audiences, however, received the first two series of The BBC Television Shakespeare very positively. The average RI index for the first two series of the programme was 76, the highest individual figure 80 for Henry VIII and the lowest, 68 for The Tempest (BBC WAC VR/80/242). Miller was succeeded in turn by Shaun Sutton as producer for the final two series of The BBC Television Shakespeare. Three of these six productions, Time and the Conways, A Month in the Country and Vicious Circle did end up being transmitted on BBC1 in April 1985. The other three were eventually transmitted on BBC2, Antigone appearing as late as September 1986. In the instances of Sophocles and Strindberg, no BBC Television productions have been made at all since 1987. Anon, ‘All Shakespeare on BBC2’, The Times, 2 November 1978, p.6. Barry, Michael, ‘Television World Theatre’, Radio Times, 27 December 1957, p.3. Caughie, John, Television Drama: Realism, Modernism & British Culture. Oxford: Oxford, 2000a. Cellan Jones, James, Forsyte and Hindsight, Dudley: Kaleidoscope, 2006. Collins, Tim and Levy, Gary, ‘The Sydney Newman Interview’, DWBulletin, 41/42, 1986, pp.10-5, 26-30. Dunkley, Christopher, ‘Review’, Radio Times, 27 March 1975, p.74. Dunkley, Christopher, Television today and tomorrow: Wall-to-wall Dallas?, Harmondsworth: Penguin, 1985. Hewson, David, ‘Plays are the thing in this BBC drama’, The Times, 23 March 1985, p.8. Lawson, Mark, Front Row, BBC Radio 4, 8 April 2008. Nicholson, Geoffrey, ‘If Cedric Messina has got excited about something then most probably the director will want to direct it and the actors will jump at the parts… …and the chances are you’ll love the play’, Radio Times, 15 January 1970, pp.52-5. Purser, Philip, ‘Heads of Drama’, Contrast, 2/1, 1962, p.35. Wiggins, Martin, The Shakespeare Collection: Viewing Notes, BBC DVD, 2005. Willis, Susan, The BBC Shakespeare Plays. London: Chapel Hill, 1991. Fantastic piece, but I think you’re wrong to refer to Sunday Night Theatre as a named drama strand running 1950-9. This is more of a convenient label first used for the practice of showing a play on Sundays by Kaleidoscope, I think. It does appear in the RT but only from some point in 1956. I’m not aware whether these productions were ever branded in this way on screen or in internal BBC doumentation but the – admitedly limited – evidence I’ve seen (and mostly from the first half of that decade) makes me suspect not. How much any of this matters, I don’t know but I’d suggest this plays ‘strand’ was a much looser and less unified run of dramas than the practice of ascribing a ‘series’ title to it might lead people to expect. I saw so many, if not all of these. They were a highlight of my teenage/early twenties. I remember most of them vividly – Brand, Ghosts, Mother Courage, Blood Wedding, Government Inspector, Strange Interlude, Danton’s Death, The Bald Prima Donna, Mourning becomes Electra, Macbeth etc etc etc. If only the BBC did thus now !! !